Survey: Will Trump's $1-trillion Infrastructure Plan Boost Copper Prices? Trump’s plan to spend $1 trillion on infrastructure over the next decade should be unveiled later this year. Will it push copper prices higher? US President Donald Trump recently failed to push his healthcare reform bill through Congress, but reports indicate that another of his highly anticipated economic changes is still on the table. Trump has promised to spend $1 trillion on infrastructure over the next decade, and the most recent news on the plan came midway through March. At that time, US Transportation Secretary Elaine Chao said the infrastructure plan will be disclosed later this year and tackled in 2018. The news has some market watchers wondering if a copper price boost could be on the way. The metal is an excellent conductor, and is widely used in electrical wiring — as a result, copper demand is closely linked with increased use of heavy machinery, consumer durables, electrical grids and telecommunications. 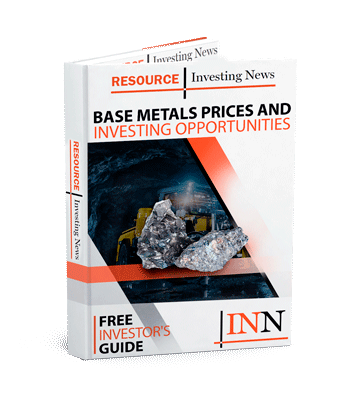 To learn if Trump’s infrastructure plan could actually lead to an increase in the copper price, the Investing News Network reached out to a variety of experts. Read on to hear their thoughts. Trump first introduced his infrastructure spending plan during his election campaign. At that time, he pledged to spend $1 trillion on infrastructure through public and private investment in America’s roads, bridges, airports and more; he reiterated that desire soon after his inauguration. The copper price rallied in the last two months of 2016, reaching a 16-month high in November, with Trump’s comments providing some upward momentum. Now, however, investors are becoming less certain that Trump’s infrastructure initiative will be successful, particularly after the failure of “Trumpcare” last month. The copper price did continue to rise in the first quarter of the year, but not as strongly as market watchers had hoped. Recently it has been trading at around $5,893 a tonne. “Infrastructure is a great way to try and bring the country back together, I don’t care where you live, what your party affiliation is, how old you are, everybody enjoys and benefits from improved infrastructure,” he told the news outlet. 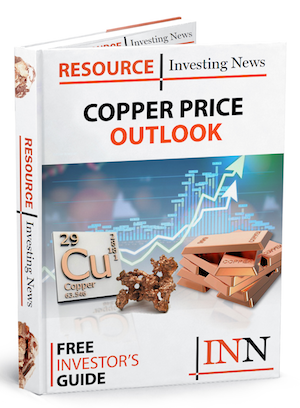 What’s ahead for copper prices? Overall, many copper-focused investors continue to be cautiously optimistic about Trump’s pro-growth agenda, and believe that if successful it could push the copper price up. The consensus also seems to be that copper will not be affected too drastically even if it does not pass. Bain mentioned that copper is also seeing some support from factors related to the Chinese economy. Other circumstances investors should keep an eye on include wage negotiations at major copper mines, and whether the Fed will raise interest rates again in June. “Running up to June the market could become very nervous, and some short-term volatility in copper prices can be expected,” Li said. According to panelists at FocusEconomics, the average copper price forecast for Q2 2017 is $5,626. The most bearish forecast for the quarter comes from BBVA Research, which is calling for a price of $4,584; meanwhile, Standard Chartered (LSE:STAN) is the most bullish with a forecast of $6,117. Do you think Trump’s infrastructure plan will boost copper prices?